Employees receive faxes directly in their e-mail inbox, and documents can be sent by fax immediately after writing—there's no need for printing out or archiving. Fax messages can be received at mobile devices and at the home office. There is no need for you to dial a fax number; you simply select a contact from your address book. Incoming faxes are automatically forwarded to the relevant contact person. 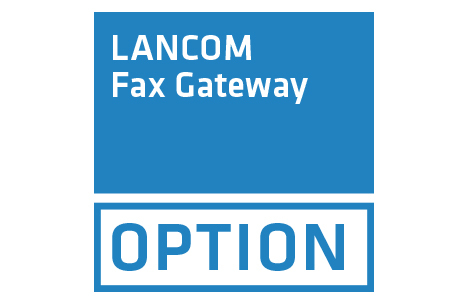 The LANCOM Fax Gateway Option enables up to eight faxes to be sent and received simultaneously via the LANCOM router. No ISDN boards, no fax modems—thanks to this robust hard-fax solution for fax servers, your LANCOM with its Fax Gateway Option makes it convenient, efficient and reliable to send and receive fax in the whole of your network.